Keeping houseplants gives your home year long colour and interest and can also purify the air and calm the mind. Medical research has also shown that plants in your office or workspace increases concentration and improves memory retention. Here’s a simple guide to caring for them and a closer look at what houseplants you can choose for a happy, healthy and beautiful home. Spider plants remove carbon monoxide and other toxins or impurities. The spider plant is by far one the easiest houseplants to grow. They’re not fussy about soil conditions, they can tolerate neglect, so are an ideal choice for our busy lives. Provide them with a well-drained soil and bright, indirect light and they will flourish. Water them well but beware of overwatering as this will lead to root rot. These robust little plants can cope with being left to dry out between watering. Found by scientists to absorb toxins, such as nitrogen oxides and formaldehyde. The snake plant is also known as ‘mother-in-law’s tongue’; so called because of its sharp spiked leaf. That aside, this plant survives in low to medium light conditions and needs very little watering. Particularly throughout winter. They like to be snug in their pots so won’t need repotting very often, if at all, as they enjoy being pot bound. Believed to help remove mould spores in the air, making them great for bathrooms, kitchens and laundry rooms; Peace Lilies love shade and some indirect light. Ideally placed near to (but not too close to) a south or west facing window. You might have to experiment to find the best spot if you discover your Lily is developing yellow leaves, brown spots or streaks. It could mean that your plant is getting too much light, so try moving it a little further from the window. The Peace Lily also enjoys an occasional misting on the leaves. 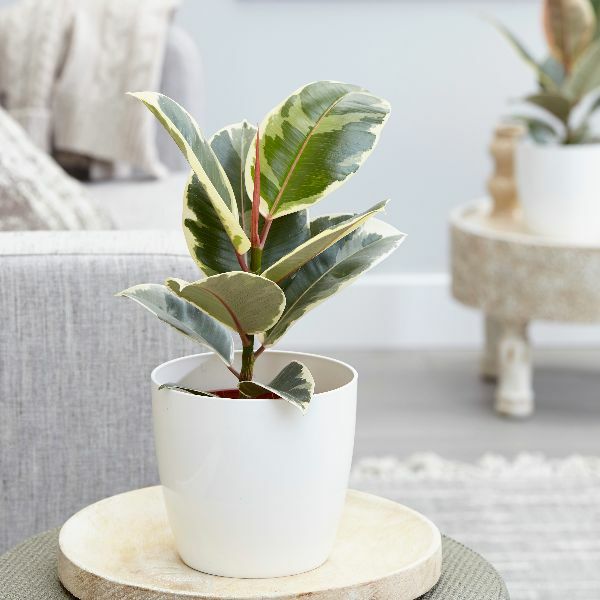 One of our all time favourite houseplants, the rubber plant, is known to improve general indoor air quality. Rubber trees are grown for their iconic glossy, leathery, large leaves. Rubber plants prefer bright light but are adaptable to low light. Water rubber trees thoroughly, but let the soil dry somewhat between waterings. The soil mix should be a well-drained houseplant mix. Rubber trees prefer humid conditions, but tolerate the dry air common in homes. Fertilise regularly and wash the leaves with a damp sponge to keep them dust free and healthy. We’re a huge fan of succulents and cacti and love the variety of textures and colours you can get by introducing a mixture of the two to your living space. 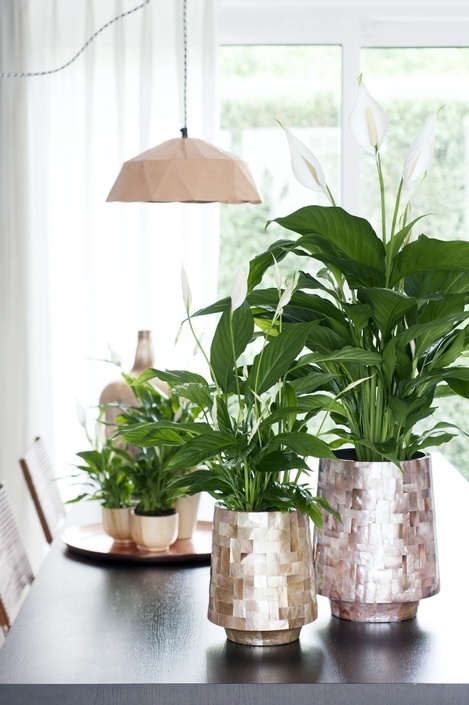 They can help give character and colour to dull spaces and when curated in a plethora of pots, these humble plants can help you bring your decor right into the 21st century. One of the best things about these fascinating little forms is their robustness. Caring for cacti and succulents is easy peasy and they can survive and flourish at the hands of the least green-fingered among us. So if you’re a busy person and want all the benefits of house plants, but with minimal effort, succulents and cacti are perfect for you. Our sound care advice has come courtesy of our friends at the Norfolk Olive Tree Company.